The HTV210C1 lighting transformer for insertion into lighting luminaires or surface mounting. 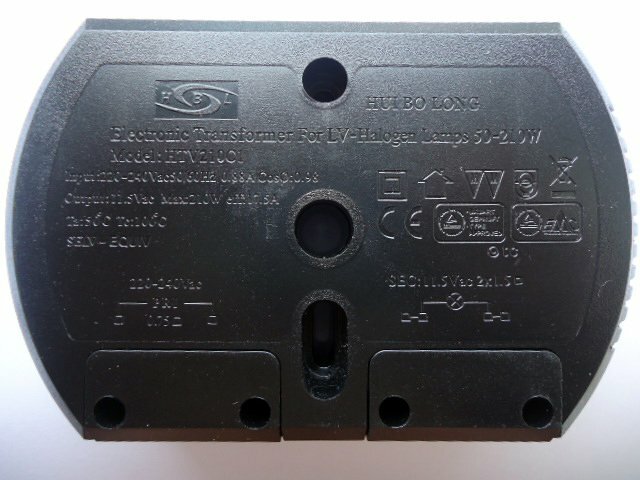 This transformer features a twin 12v output and is suitable for light fittings with 2 outputs. The HTV210C1 can be used to replace the twin output Eaglerise EET / SET210CS halogen transformer.